Is Salba Claud for real? Is Salba Claus real? Yes! Salba Claus is real! And I'm going to find him. 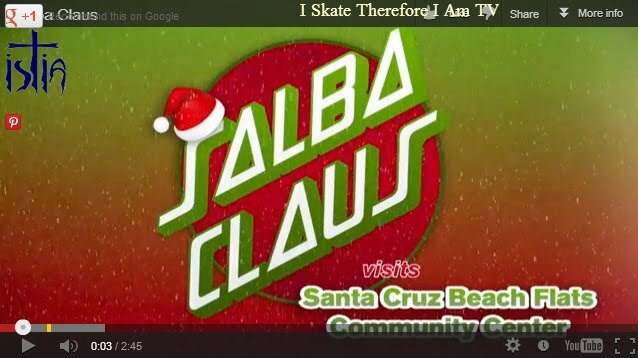 I'm part of a growing team of "Salba Seekers" who intend to prove to the world that Salba Claus is real. We'll use science and faith respectively. And you can join us! Is Salba Real? Maybe you should join our "Search for Salba!" Or watch him in this new clip where Salba flows some Xmas cheer to good the boys and girls who can withstand his pushup challenge. Happy Holidays from Santa Claus, oops, I mean Santa Cruz Skateboards!